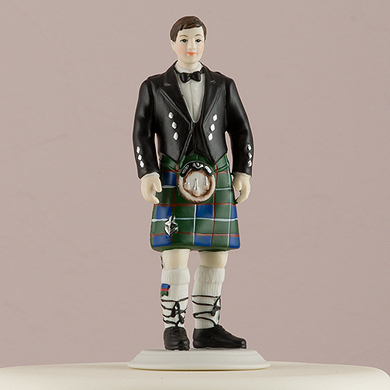 As a tribute to Scottish heritage, this Groom is dressed in traditional Scottish attire. 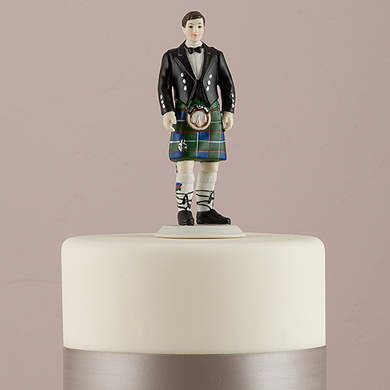 The attention to detail is most impressive right down to the customary sporran. 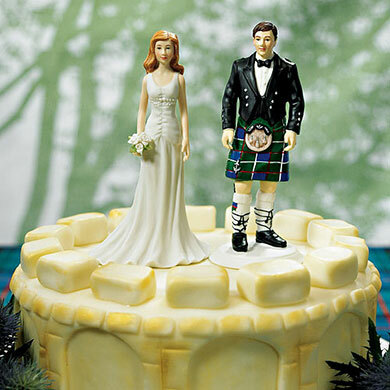 Shown here with our Elegant Bride in a fashionable wedding gown. 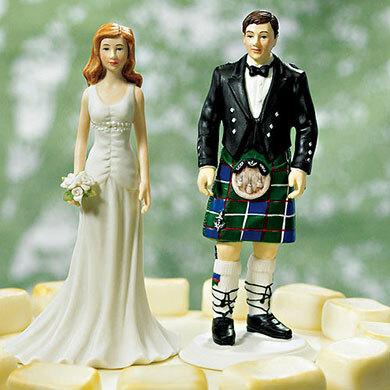 Each figurine sold separately to allow mixing an matching as desired to create a fitting representation of the happy couple. Hand painted porcelain.